When periodontal (gum) disease first develops, it is often completely symptomless. However, as it progresses, it demonstrates some tell-tale symptoms. Here’s what to look out for. Bleeding gums when flossing: It is not normal for gums to bleed when you floss. Even if your gums don’t hurt, if they are bleeding, it could be a sign of gum disease. Red, swollen or tender gums: While the colour of gums vary according to individual complexion, healthy gums are typically pink to pink-brown, and firm to the touch. 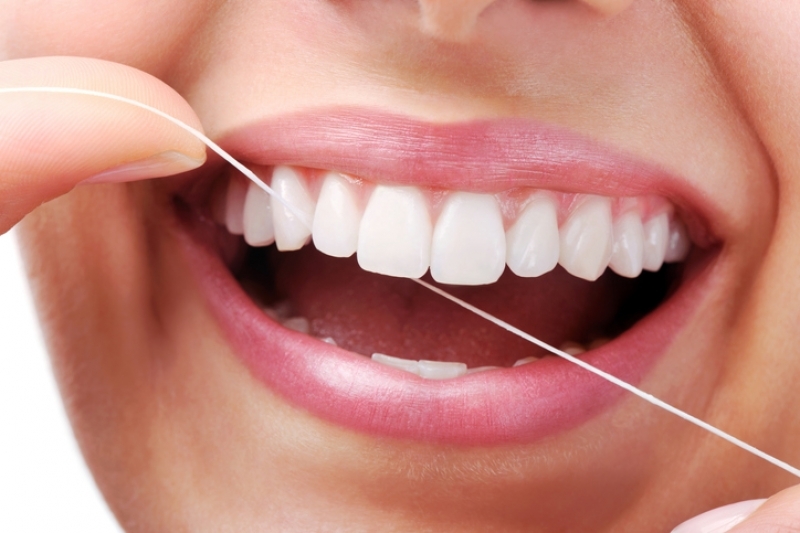 If they appear red and and feel puffy and swollen or if they feel sore when touched, you may have gum disease. Gums that have pulled away from the teeth: Gums should be tight to the teeth and no tooth root should be showing. If your gums are loose around your teeth, you may be developing periodontal pockets. Pus between the teeth and gums: It goes without saying that healthy gums do not produce pus. If you see pus when you press on your gums, make an appointment with your periodontist immediately. Bad breath: Though bad breath can be the result of a variety of issues, such as diet choice, poor oral hygiene, or dry mouth, it is also one of the more subtle symptoms of gum disease. Loose teeth: Unless you are undergoing orthodontic treatment, your permanent teeth should never feel loose. If they are, this could be a symptom of more advanced gum disease. Changes in the way your teeth fit together when you bite: If your bite feels strange or different than it once did, or if the fit of your denture or bridge has changed, it may mean that your teeth are shifting as a result of loosening from gum disease. Remember, the best way to take control of your oral health is by visiting the dentist regularly for checkups and cleanings and by maintaining a good brushing and flossing routine at home. If you think you may be suffering from periodontal disease, please contact our office today to book a consultation with our periodontist.